Are you ready for a change when it comes to your hair? Most of us find ourselves wanting to switch things up every six months or so… At least! But after awhile it can be totally exhausting trying to figure out which color direction you want to swing in. There are just so many dang options! And how are we supposed to know which ones work best on us, our skin tone and with our eye color? Well, it’s no easy task, but that is exactly why we are here to help you out today. 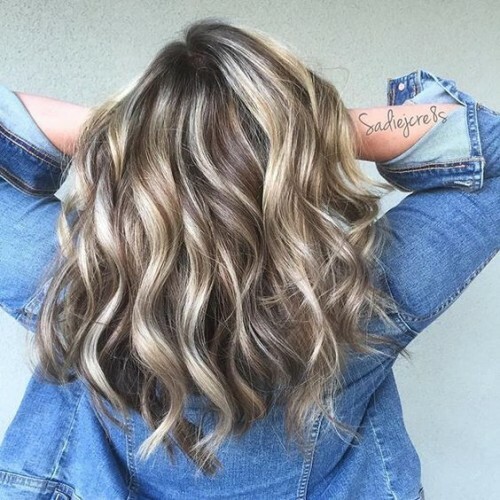 We have 50 blonde color ideas for you to look over and 50 brown haired color ideas, too! 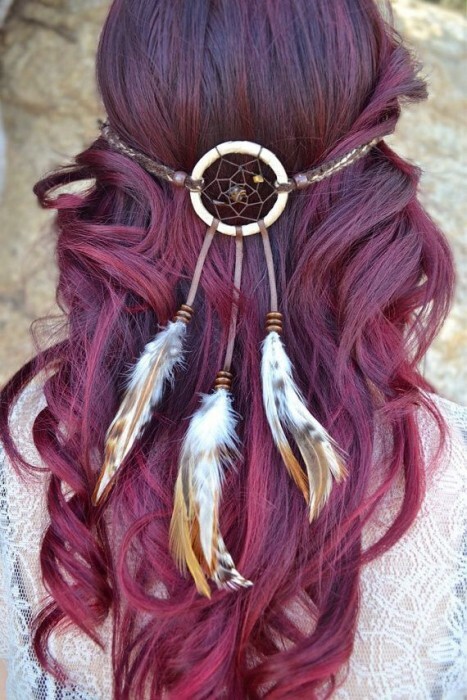 Hopefully they give you all the inspiration you are searching for on this hair color journey. Go ahead and get looking below to find your perfect match! Looking to be blonde, but not overly blonde? You can try out this color above. This is more of a dirty blonde. It will definitely make you stand out from other all of the other blondies around! 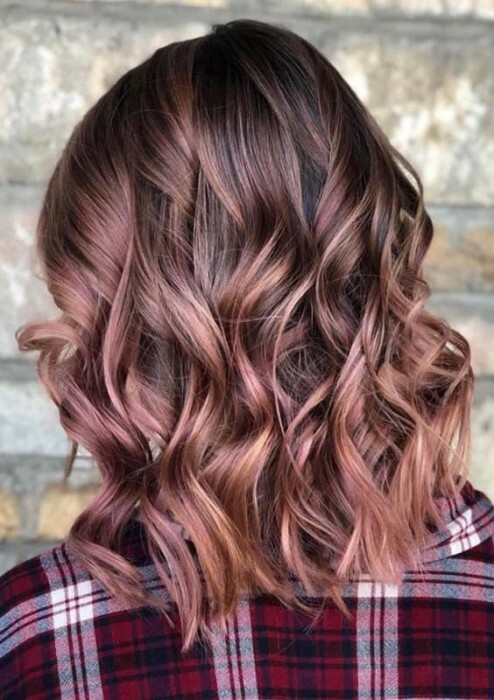 Rose tinted blonde is a thing and WE LOVE IT! What isn’t to love about this color? Just a very slight hue of pink to add a little more glam to your platinum blonde hair. 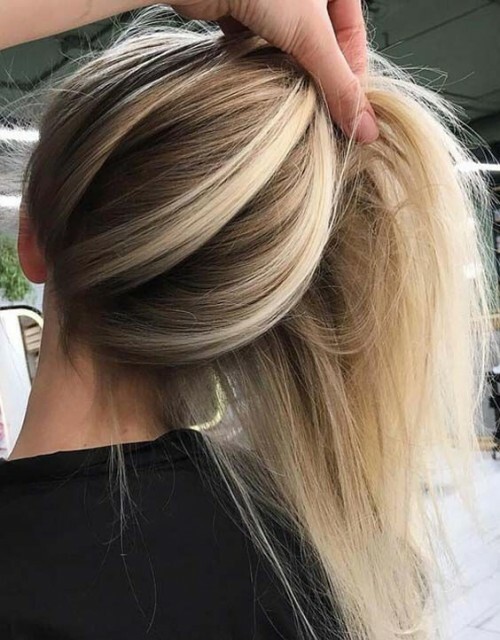 Ashy blonde hair color is all the rage these days! We adore the light, yet dark, shadow root that she has on her head. This will give your hair a look of having more depth. Which is perfect for those of you with thinner hair. Speaking of depth- You might just head to your salon STAT after seeing this look! Adding heavy dark chocolate highlights and a shadow root will definitely make your look pop! This creates layers upon layers of depth. This is also a great style for people who suffer from thinner hair. You might just fall head over heels with yourself if you have this strawberry blonde coloring in your hair. 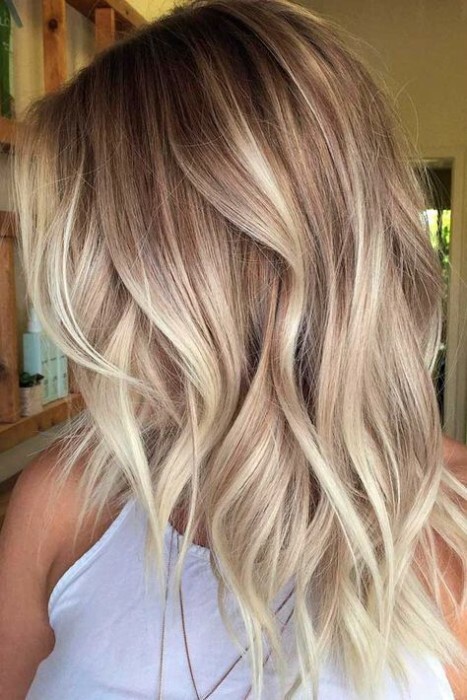 This is a great look to choose if you want to switch things up from being a regular old blonde. Add some spice to your appearance and try this hair color out today! Another beautiful ashy blonde coloring option indeed! 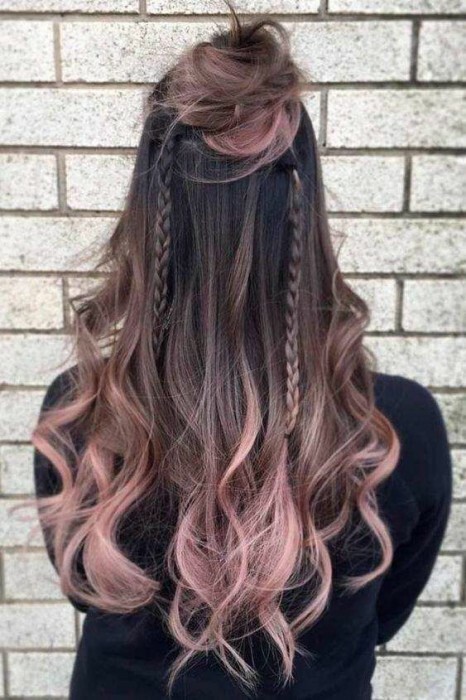 Adding a rose tinted brunette color on the top that ombres into an ashy blonde layout is a perfect look for anyone. This is a very popular color at the moment! We can see why. It rocks! 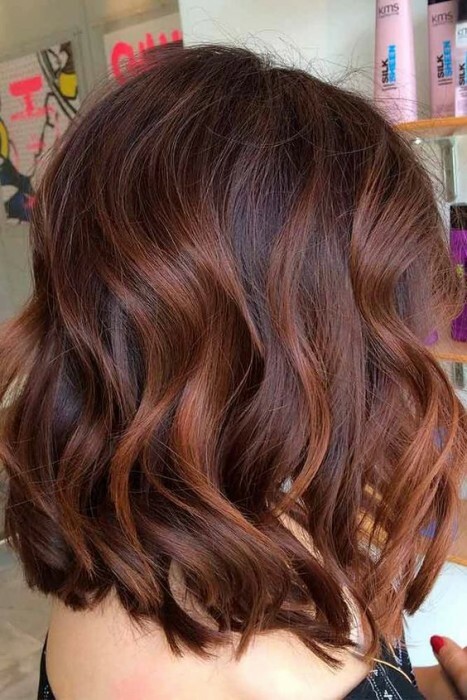 A reddish brown mixes wonderfully with any type of blonde color. This creates dimension and gives you the appearance of having ultra thick hair. And it’s also super pretty, don’t you think? 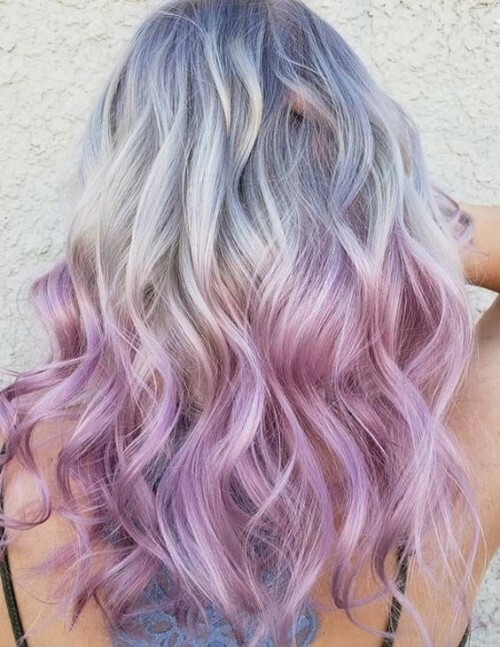 Purpled toned silver is a beautiful way to sport lighter colored locks. This look is great, especially for summer time! You can make it a slight ombre by putting a darker gray on the top of your head and giving your look a little extra oomph. Honey blonde is a great color and you can probably see why. 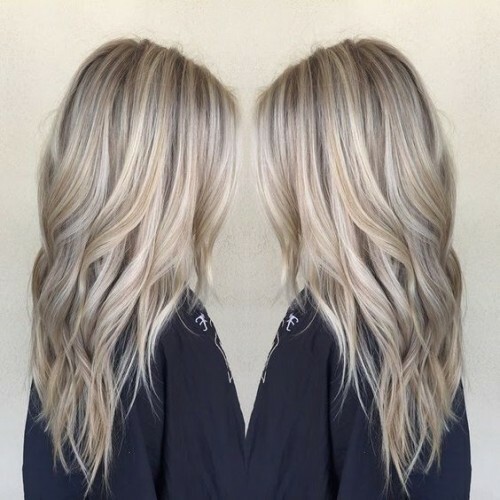 We think this is a great look for any time of the year and will give you that all natural blonde look you have so been desiring! 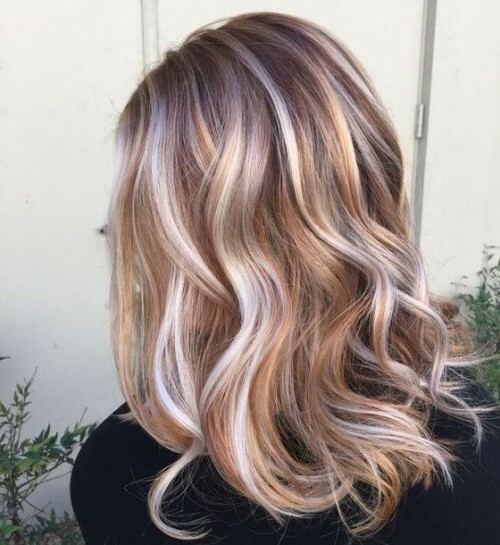 Putting a darker blonde on the top to create a shadow root is also a great idea in adding something special to your style. 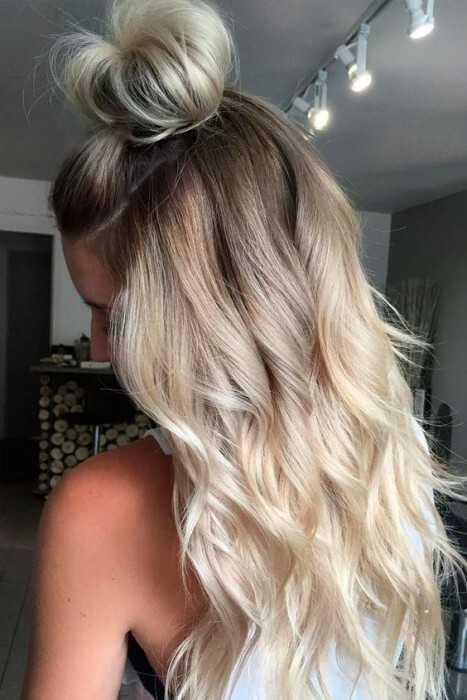 This beach blonde look is absolutely gorgeous! It works extremely well with curly, thick hair, but it will work on any hair type or style. Make it a true beach look by creating your own beach waves if you don’t have one. Fool the world into thinking you spend every day sunbathing! Platinum blonde is a great way to freshen up your style. Adding a touch of natural root will bring out the best you there possbily is. We can’t get over how elegant this coloring job is! Are you looking to do something a little more out of the box? 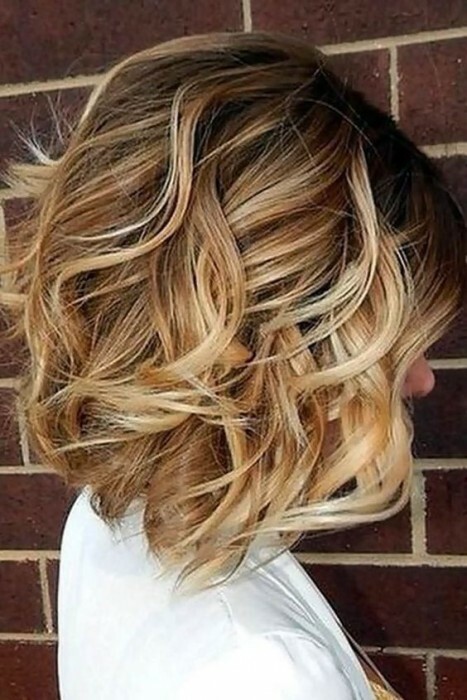 Then we have the perfect blonde hair color idea for you! This is blonde on the top and purple (or whatever color you would like) underneath. 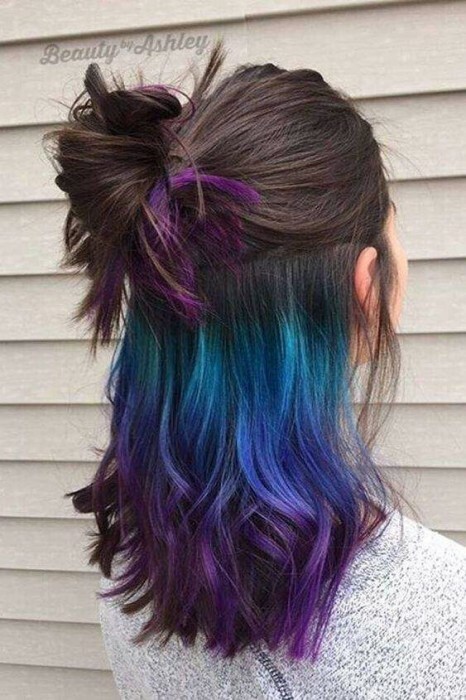 This is a great solution if you have always wanted colored hair, but can’t due to work or events. This is a great way to hide the colored hair when you need to. We think it rocks! Wow! 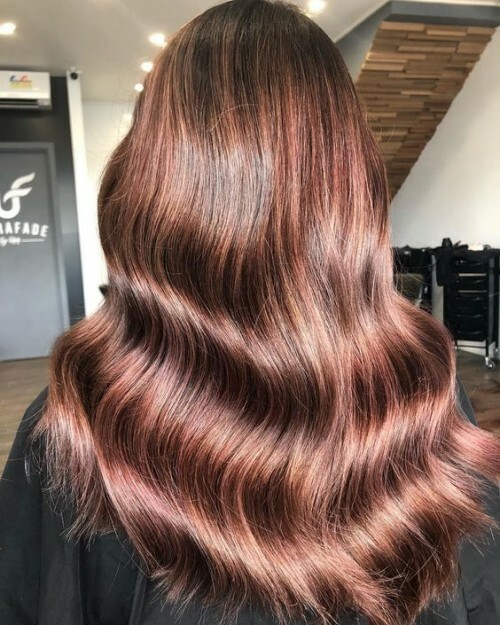 These copper highlights are to die for! 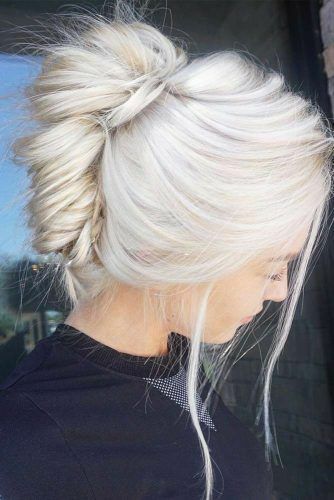 We just love how they intertwine with the platinum blonde and ashy toned roots. This is an awesome style. 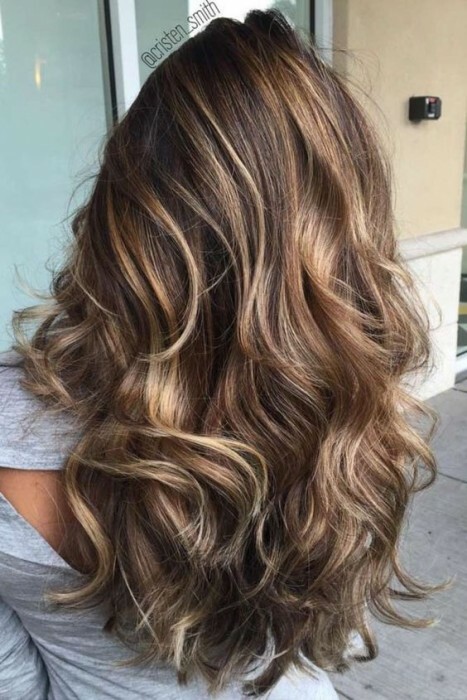 Balayage is a great technique used in the hair world to give you natural looking highlights. And we think it’s most wonderful that it’s becoming so common nowadays. Seriously just look at how classy this coloring is! 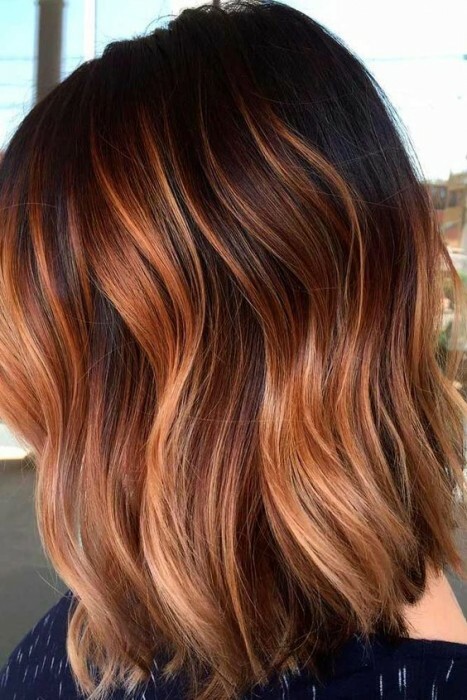 We know there is a lot of ombres on this list, but how can we pass up putting up ones like these! They are just simply too cute to not share with the world. 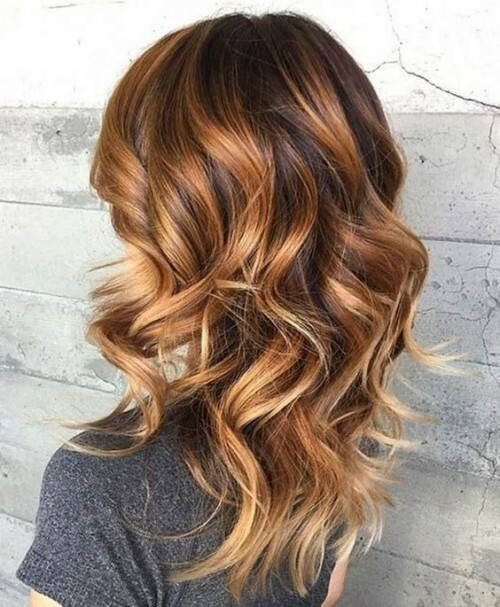 This brunette to copper to blonde ombre is seriously LIFE! Storm from Marvel’s X-Men couldn’t have pulled off this color better herself. 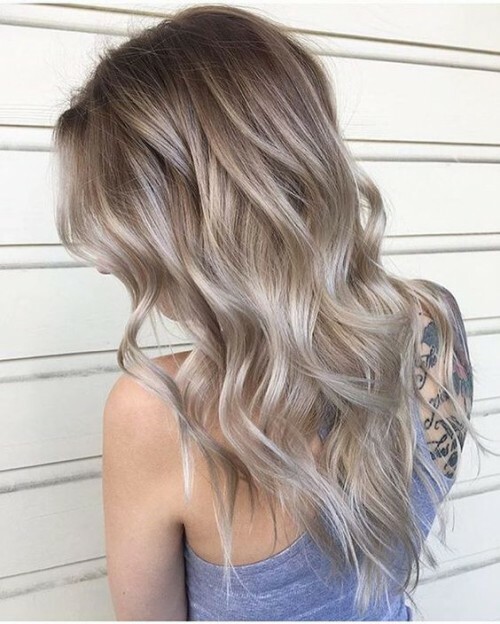 This super silver hair with charcoal roots has us shook! But in a totally good way. Wow, you will definitely stand out in a crowd with this blonde hair color idea. Business on top, party on the bottom. We love this white blonde hair color with blue dipped tips. Of course, you can pick whichever eccentric color you want to for the bottom tips! It doesn’t have to be blue. 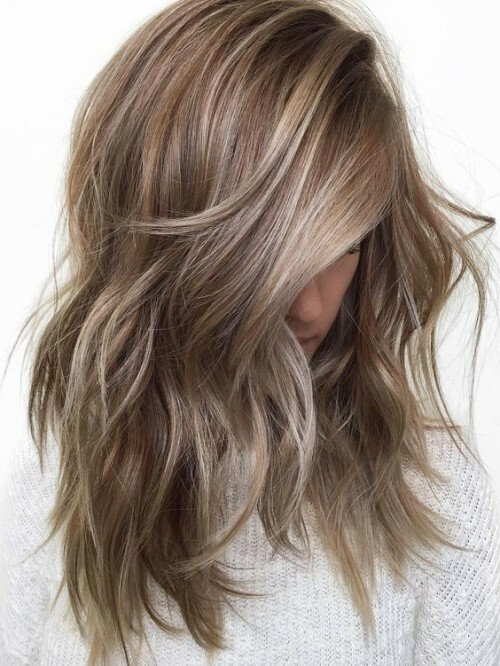 We think this caramel blonde color is absolutely adorable in every way. It’s definitely a perfect fall look, too! This is a great look for those of you who had really dark hair, such as black, and would like to become lighter. Because it’s not always easy to transition from black to extreme blonde. This is a great medium. You certainly do not have to be 50+ to rock white hair. Look at how gorgeous this color is! We can’t picture a better way to rock your style. Want to let your inner mermaid out? 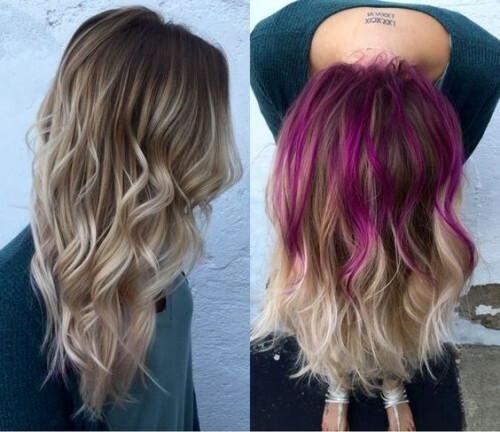 Try blonde ombres with violet and purple! We love it! Seriously, what’s not to love about this style? This is a fun color to try out. And if you don’t like it, at least the purpler will fade pretty quickly and leave you with more of a silver color in the end. 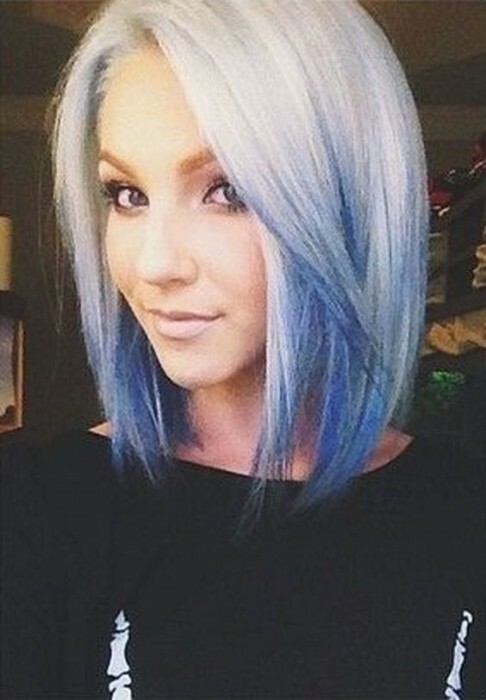 But if you are not trying to look too different from the norm, we would recommend this next color instead. 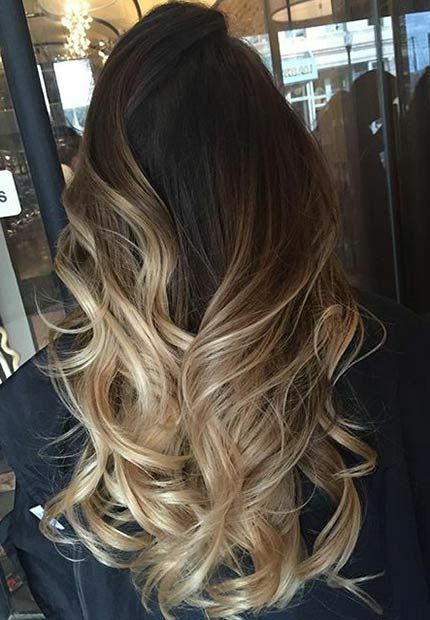 This balayage is so simple, but so pretty at the same time. Rocking blonde locks has never been easier! There was a time when “dirty roots” or roots that have grown out were frowned upon. But that time has passed because they are totally in trend right now. And we love it! Two toned hair is all the rage these days. 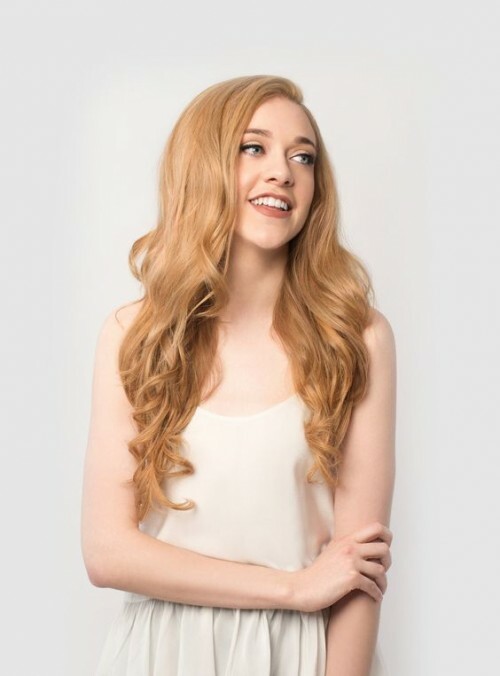 Try out an auburn root that fades naturally into a light blonde color! We are absolutely smitten with this style and we are sure that you will be too. This is a very, very light ombre, but we fell in love with it right away when we saw it. The tones are a yellow blonde and a very light brunette. This will give you a more natural looking ombre. No, gray is not just for our elders anymore! Young people everywhere are trying out grays and silvers each and everyday. And we agree wholeheartedly with this beautiful trend. This is a great way to put a spin on having a blonde head of hair. Instad of natural looking blonde, you can go silver or gray. They say blondes have more fun, but we must disagree after seeing this beautiful coloring. 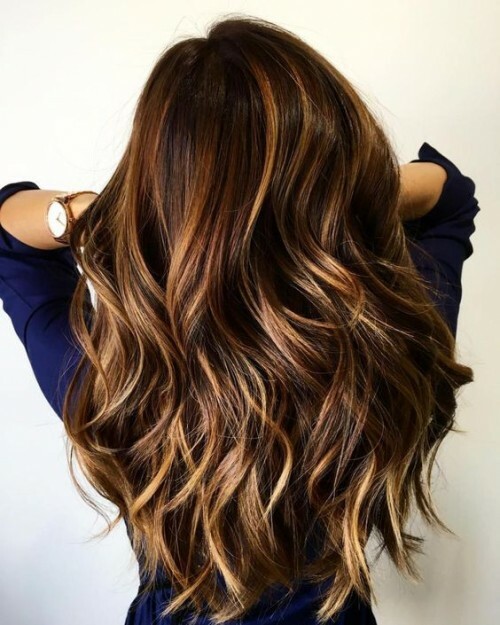 This deep brunette to honey blonde ombre is everything we have ever dreamed of wanting to put on our heads! How about you? Become a brunette with honey highlights to really bring something extra to your look. This is great if you don’t want to recolor your hair too much, already have dark hair and are looking to try out something new. What isn’t to enjoy about a deep, dark chocolate brown with caramel colored highlights? We think this is a great look and if you do too you should probably get to your cosmo and show her or him this picture ASAP. Take your dark side to the next level by trying out this blue blackish color! We think it is such a sophisticated look. And it works well on pretty much anybody. 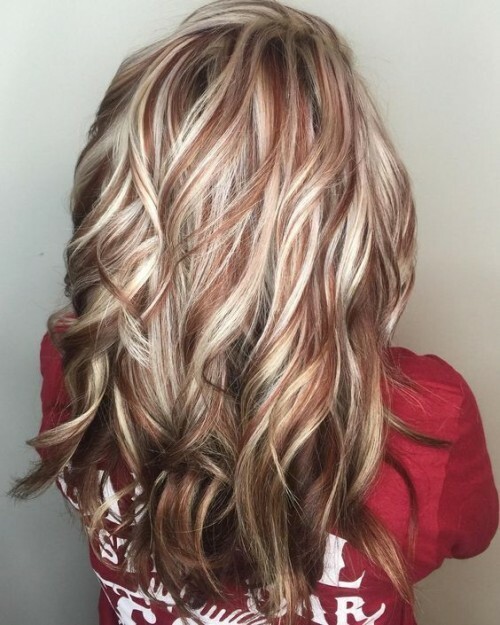 Auburn is definitely one of the prettiest shades a brunette can be! That red tint will especially make you stand out if you have green eyes or pale skin. It’s just absolutely beautiful and rich looking! 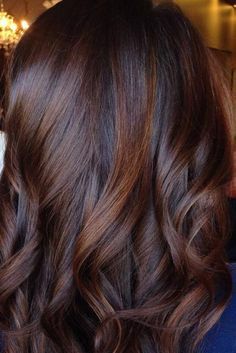 You could also opt for auburn hair with chocolate colored highlights. This adds a little more dimension to those locks and gives you fullness you wouldn’t have otherwise. An ashy brown is a great color to choose if you are looking for something a little lighter. We think this is a great look on anybody. It is so cute! Have you ever seen of rose tinted brown? We hadn’t, but when we did we couldn’t look away! 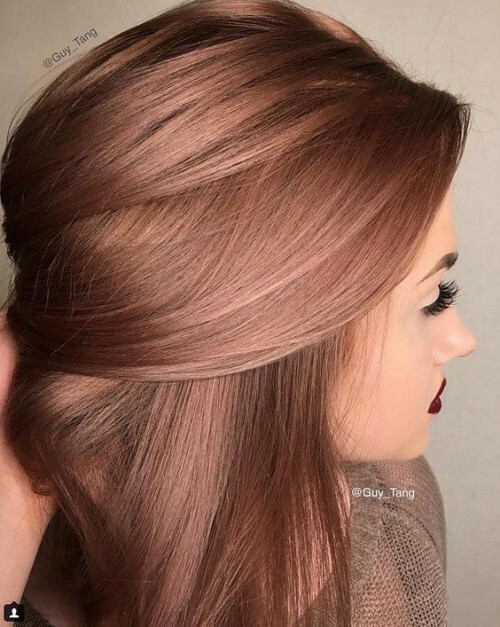 This color idea for brown hair is just extremely stunning and definitely took our breath away! Do you love the idea of being a red head, but you are not ready to take the full on leap to ginger town? Well, we have found the perfect solution for you then. 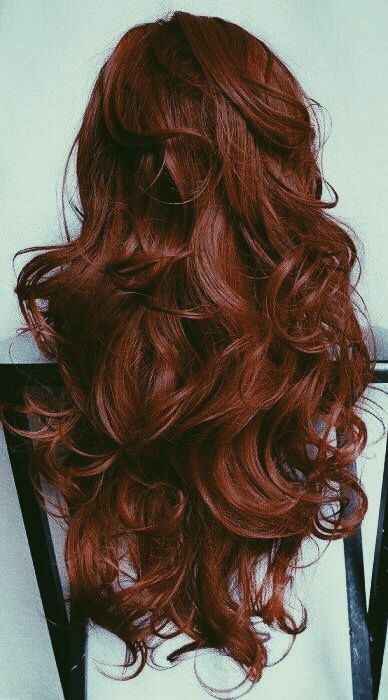 Try a deep reddish brown instead. Another beautiful balayage for the books. Try this tri toned coloring and see people’s eyes light up when you enter the room! This is a simple look, but a gorgeous one none the less. Do you have thin hair? Are you searching for a way to have fuller looking locks? 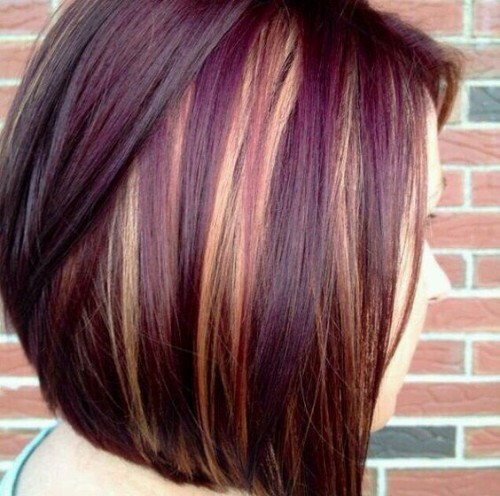 Try this beautiful mix of colors to add depth to your hair. 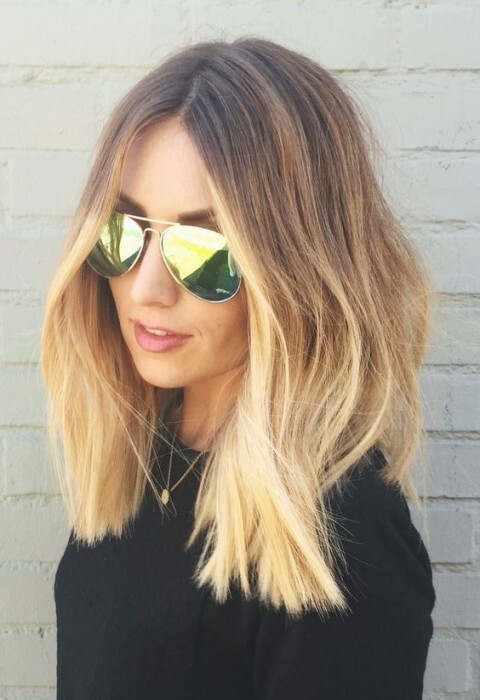 Go from black roots to brunette strands with blonde highlights to do this and you will be set. Brunette roots with rose gold coloring! We think this is a true masterpiece! You will be the best looking girl around with this coloring… If you ask us anyways! We just couldn’t resist putting this on this list. We think you’ll love it, too. This is a simple, elegant ombre but we fell in love with it anyways. Keeping things simple is never a bad idea when it comes to hair. Wouldn’t you agree? However, if you are looking to try something not so simple, we have this awesome suggestion for you next. Being brunette doesn’t have to be boring. 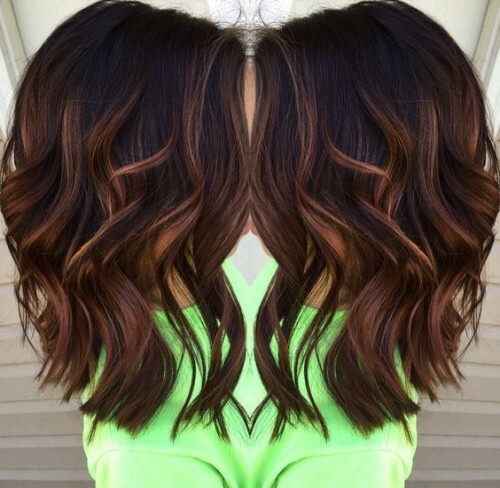 Try a dark brown, but throw in some crazy colors to make an out of the box ombre unlike any other! You’ll love walking past mirrors with this on your head. We promise! 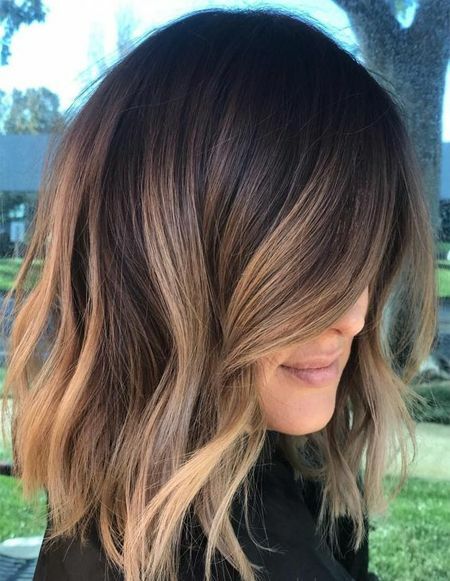 If the last suggestion was a little too vibrant and out there for you, you can find a happy medium between simple and not simple by adding a pastel to your light brown locks instead. 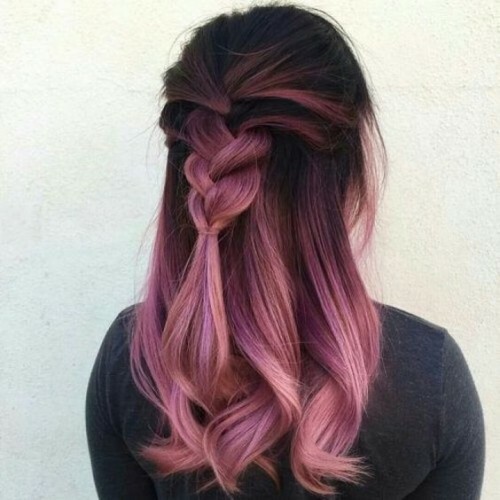 We adore this color idea! Adding dimension to thin hair is so easy. If you know what to tell your cosmo that is. So tell her or him you want to try out this tri toned hair to get a deeper look going on throughout your hair. Burgundy is another great color to add to the list of brown color ideas. Want to really make it pop? Add in a few blonde highlights and you’ll be totally set up for being stylish at all times. 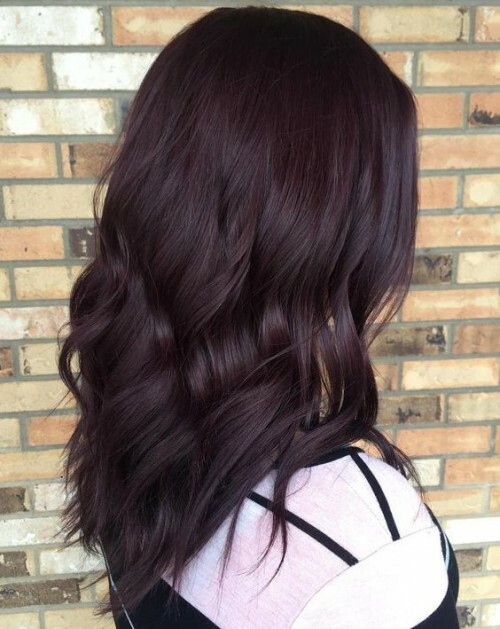 Or you can douse your brown locks in a darker purple to really make your look fire. 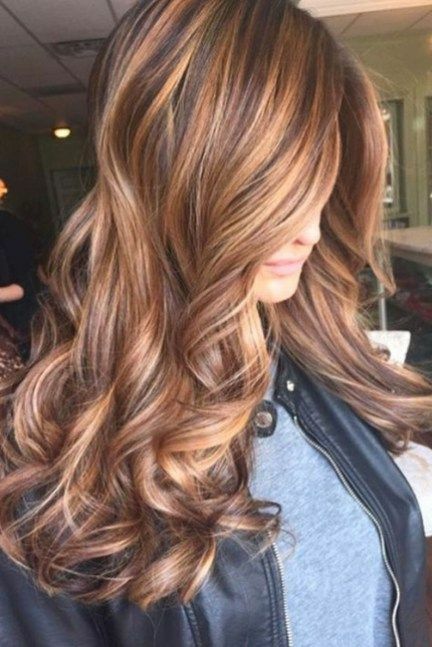 Keeping the roots brunette and adding a brighter color throughout is such a wonderful idea. We support everything about it. If you do too, this may just be the right look for you. Pale brown is so sophisticated and beautiful. How could you not love it? This is great if you are looking for something simple, yet adorable all at once. This deep, dark brown is so glossy and so gorgeous. It’s perfect for those of you out there that have light hair and want to give something totally different a try. This coloring is not only beautiful and glossy, but it’s also givng the hair a ton of depth and dimension. It really makes you want to just stare and stare and stare all day long! 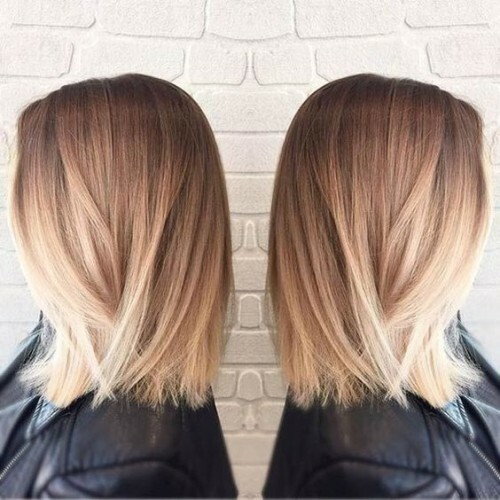 A pale brown with honey blonde highlighting has eyes totally heart eyes! This is definitely an amazing coloring job and we find it totally enchanting! Brunette for the roots and a beautiful color on the bottom! Now remember that you don’t have to choose the color purple. You can pick any color on the spectrum. It’s totally up to you. Pick one that makes you feel all warm and fuzzy inside! Golden highlights mixed in a chocolate brown wonderland of hair. We DIG this so hard! It’s so pretty we almost want to dye our hair this color right now. Surely you will too! And lastly we have this beautiful golden orange tinted brown color idea for you. This is just a goregeous look and would definitely work with most eye colors and skin tones. We hope you love it just as much as we do.